1. 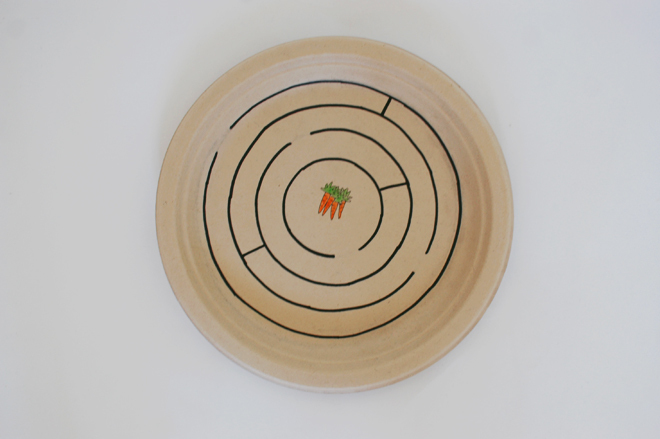 The template has a sample maze to use, or you can easily just make your own with a compass; use the bunny or space shuttle on the template, or make your own (e.g. car to a finish line, superhero to a damsel in distress, fish finding its way to a school of fish). 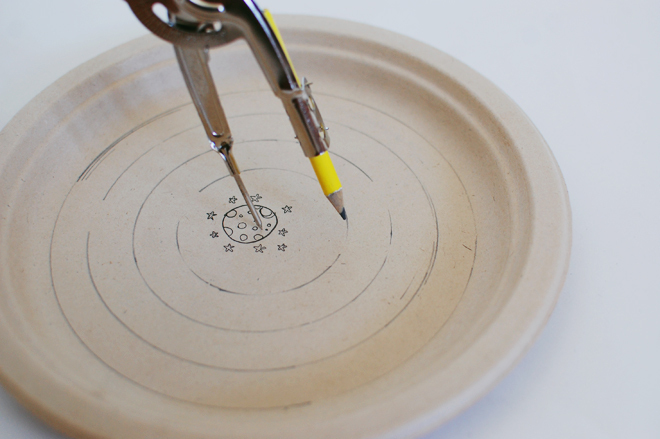 If using a compass, make 4 circles lessening 1″ with each smaller circle. 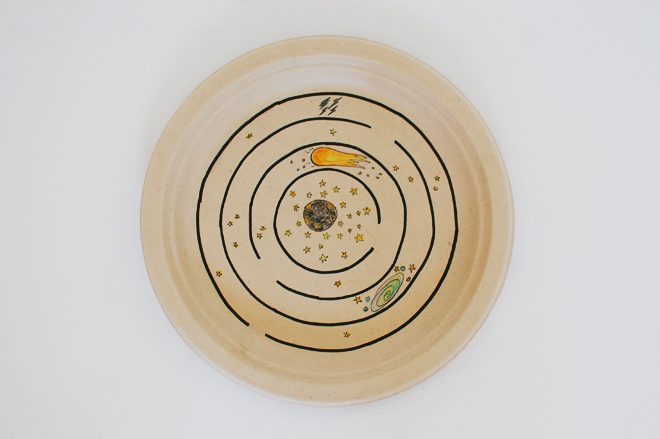 Each circular row, should have one opening to the next, and a barrier somewhere along the row as well. Go over the maze lines with a marker. 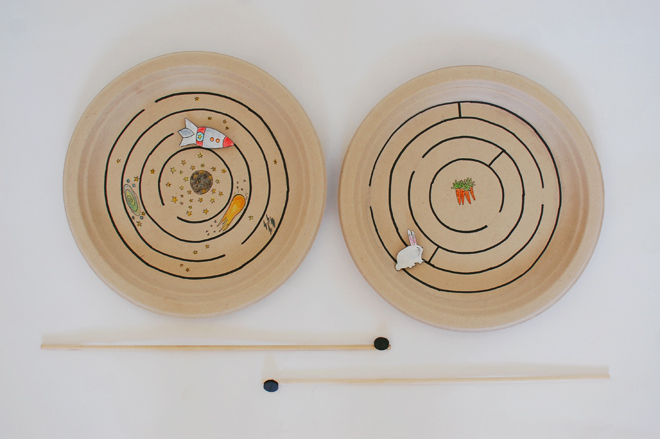 Draw the moon or bunch of carrots (or whatever you choose for the winning destination) in the center and color. 2. 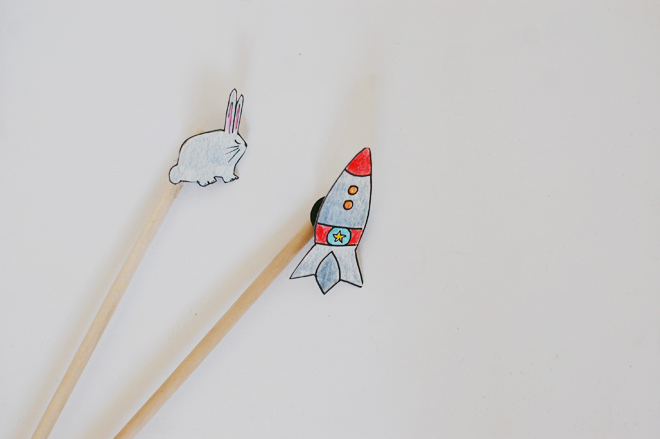 Color the bunny/space shuttle and cut out. 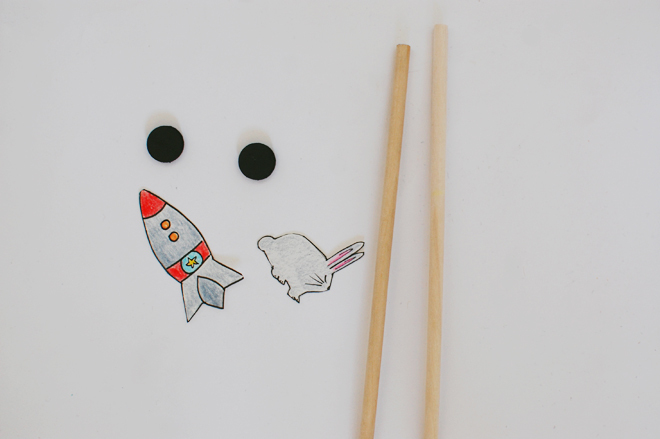 Glue a magnet piece behind the bunny/space shuttle, and another on the end of the dowel to make the magnet wand. Make sure the opposite magnets are facing each other, so they will attract and be able to work together on the maze. 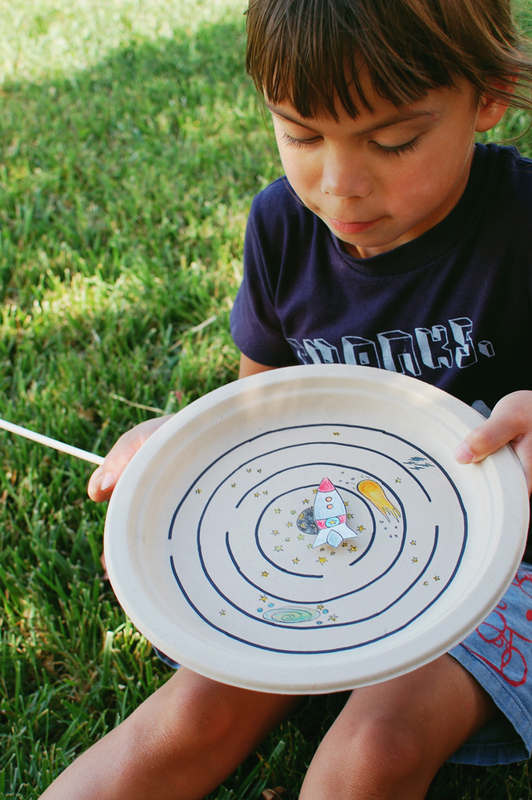 Hold the magnet wand under the plate and direct your bunny/rocket ship to the center of the plate! my gosh! 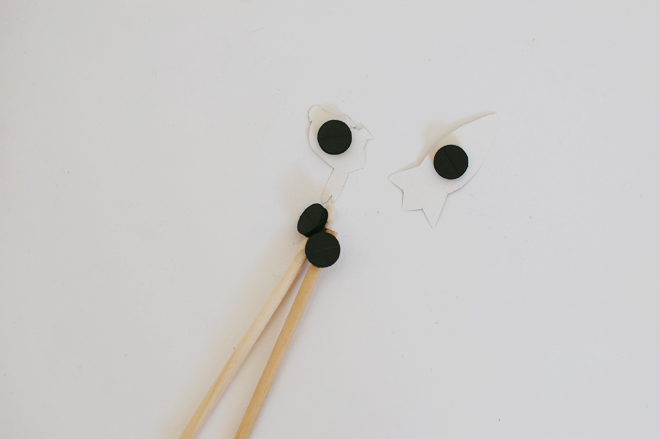 this is probably one of the best diys i’ve seen around the internet! so creative! LOVE this!!! thanks so much for sharing. gonna bookmark it forever. if there was an award for Best Mom In A Lifetime, it has got to be yours!!! 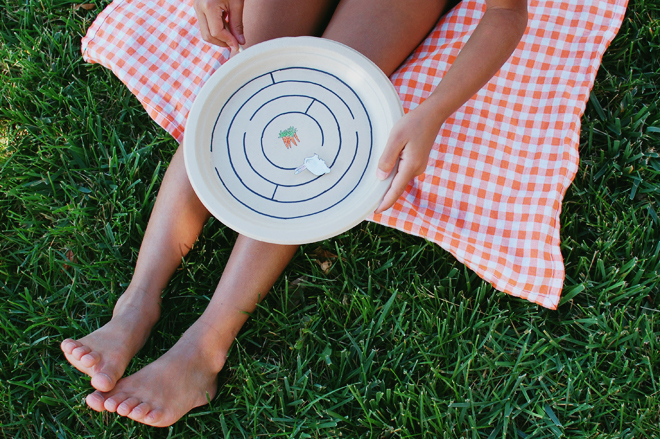 For extra awesome: Make the pieces for playing the maze out of shrinky dinks! 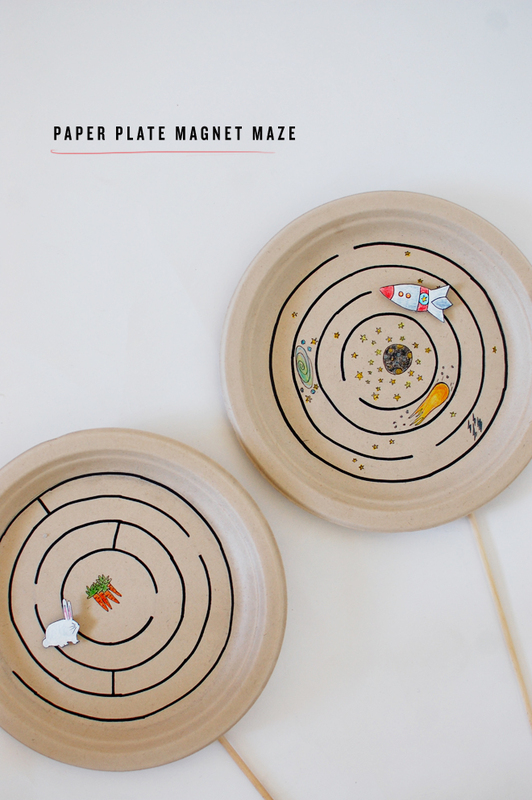 It will be a lot easier for younger kids (and even you) to draw and color something cool for the piece and then shrink it down to make it an appropriate size for playing with the maze instead of drawing and coloring something tiny in the first place. I love this! 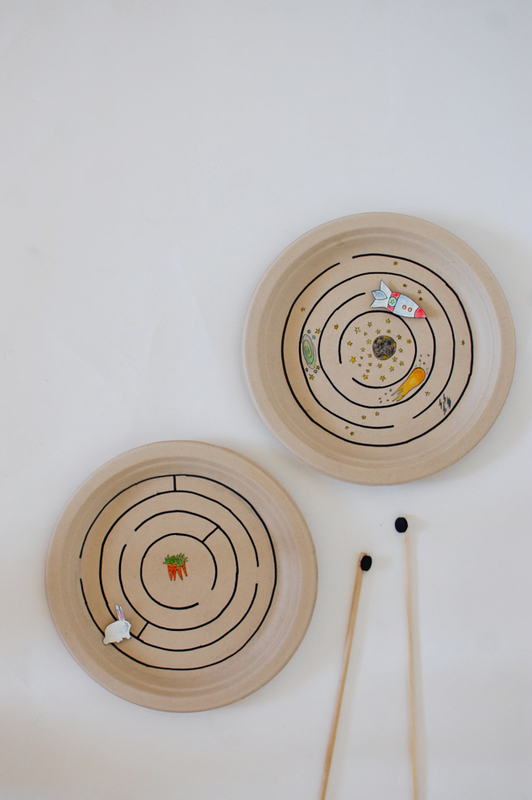 What a great way to combine art and fine motor skills learning. It’s fun and easy to make. 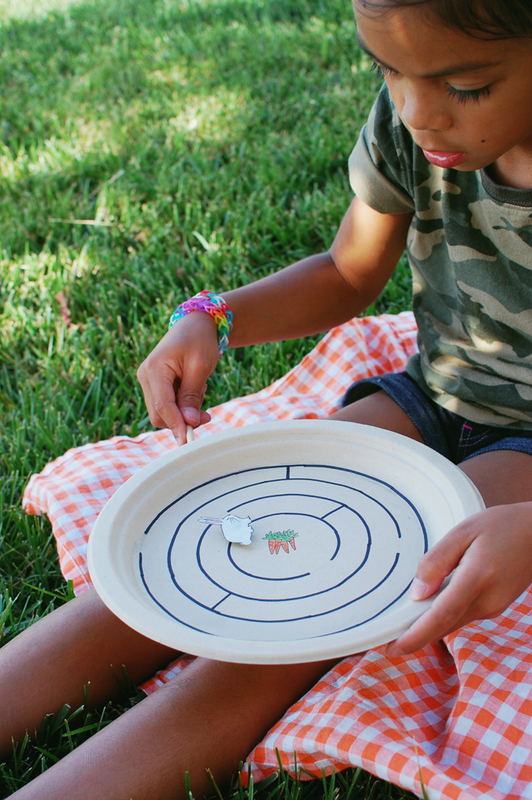 Hi,I log on to your blog named “camp home: paper plate magnet maze : CAKIES” daily.Your writing style is witty, keep up the good work! And you can look our website about proxy server list.